Join us for the ultimate science enrichment day for KS4 in autumn 2018! Five interactive and highly engaging sessions will inspire and challenge your students. There will be demonstrations and audience participation, and students will discover the wonder of science in our specially designed programme, delivered by the leading lights in the field. A session on examination success will equip students with the tools to succeed, and each student will receive our incredibly useful revision guide to take home. This is Science in Action! Join Becky as she journeys through some of the ground-breaking results that have come from Galaxy Zoo, showing just how powerful the crowd really can be. 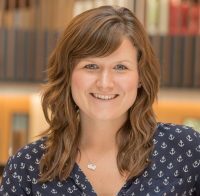 Becky is an astrophysicist researching how supermassive black holes interact with galaxies to drive the evolution of the Universe. Meet Tom the human guinea pig who has visited dozens of health professionals to discover the amazing careers you can get into with 5 GCSEs at levels 9-4! 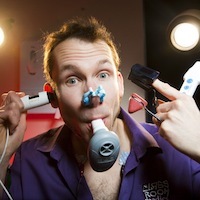 Oh… and he’ll perform some medical demos live on stage! Any volunteers…. Tom Warrender is famous for putting himself through real full blown medical procedures in hospitals & schools to inspire the next generation of health professionals. From the Ancient Greeks, through Faraday’s genius, Marty aims to put the awesome back into electricity. You may think we have electricity tamed, but are you sure? This session is chock full of huge sparks and a plucked chicken. 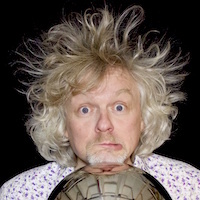 Marty has a PhD in plant biology, is a science TV presenter, live show performer, writer, strange prop builder and all round Science Bloke. Does ‘Gluten-free shampoo’ actually offer “performance, protein and purity like no other”? Can ‘Rosemary Water’ actually “drink your mind sharp”? Can a ‘Wake-Up Light’ really “brighten your winter blues”? Join Greg to uncover the evidence and bust some marketing hype. 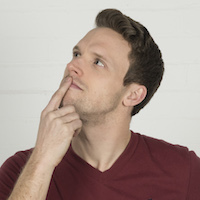 Greg hosts multiple BBC series on TV & Radio, has over 25 million views on YouTube, and performs spectacular science demo shows on stages around the world. Join award-winning materials scientist Dr Anna Ploszajski for an exploration of where science and engineering can take you – from the salt flats of America, to NASA and beyond! 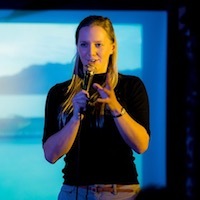 Dr Anna Ploszajski is an award-winning materials engineer, science communicator and maker on a mission to get people fascinated by the ordinary stuff which makes up the world around us.